Explore some of the darkest night skies on Earth. Thousands upon thousands of glittering jewels adorning the black sky. The sun is low in the western horizon, just behind the mountains. A refreshing breeze chills the desert air. You join the others at the open-air observatory - there's no need for a dome to block light pollution here - but you don't even notice the telescopes. Instead, your eyes are drawn...up, up, up. You find yourself at the center of an unending cosmic tapestry, thousands upon thousands of glittering jewels adorning the black sky. The delicate band of the Milky Way stretches from horizon to horizon - and you finally understand its name. You pick out some familiar constellations from home, but so much of the sky is wonderfully exotic. The true magnificence of the night sky almost overwhelms you, a feeling well known by our ancestors but almost lost to modern humanity. Despite its sense of enormous weight, layers of cosmic history suspended above you, it pulls on you...up, up, up. 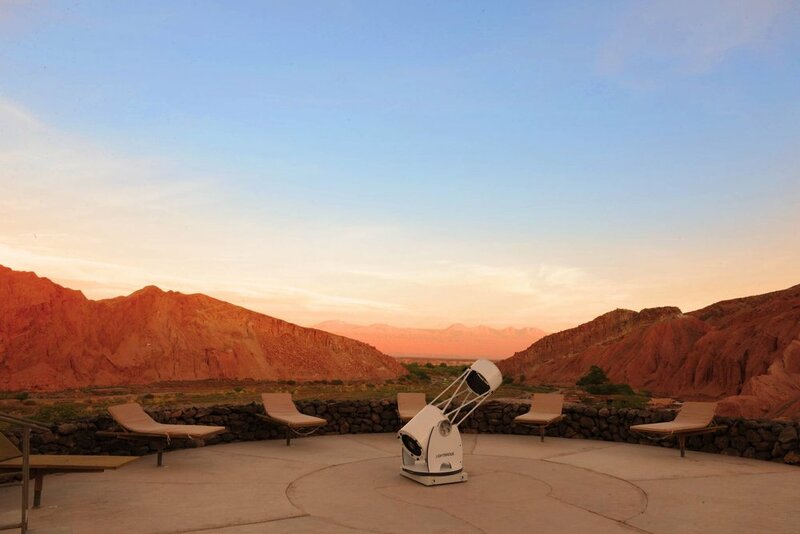 Join us for a stargazing experience like no other: an expedition to the Atacama Desert of Northern Chile, one of the driest places on Earth and home to some of the darkest skies you can experience. 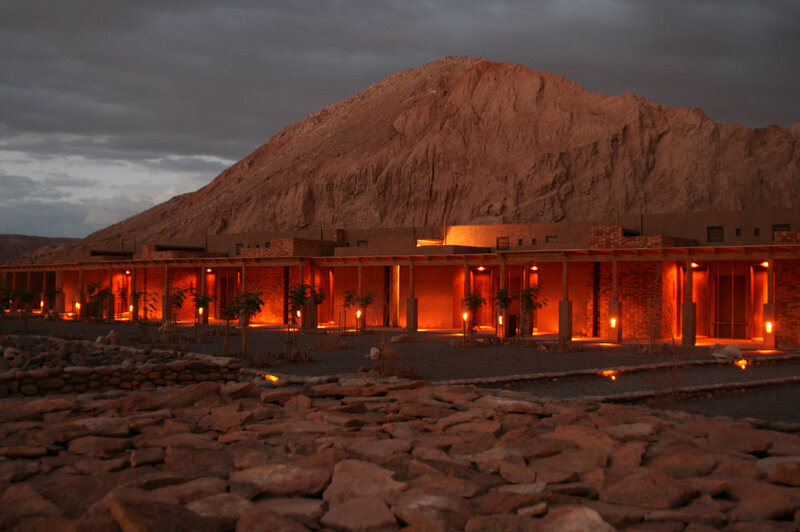 We'll spend six dark nights at the luxurious Alto Atacama Lodge & Spa, nestled in the small town of San Pedro, Chile. During the day we'll go on tours and expeditions in this exotic corner of the Earth, exploring salt flats and lunar-like terrain. And every night, a journey to the stars, hosted by astrophysicist Paul Sutter. 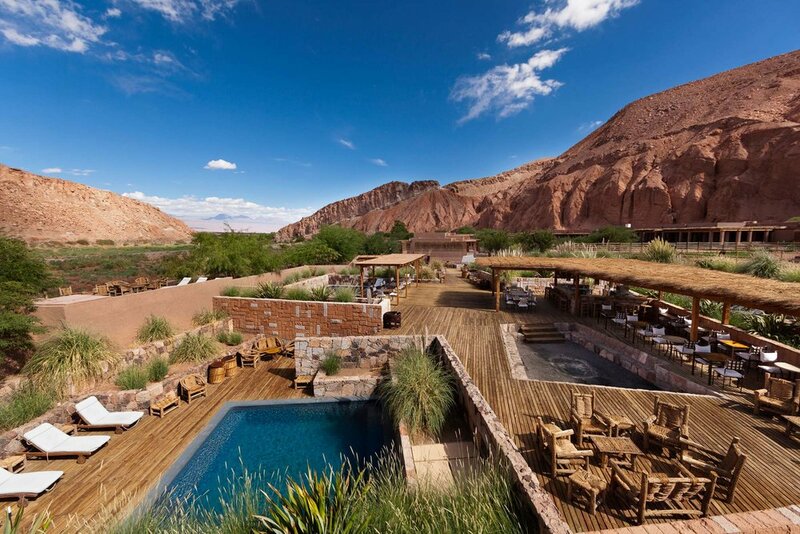 Six nights at the all-inclusive Alto Atacama Lodge & Spa. One night at the Singular Santiago Hotel. Two half-day or one full-day excursion every day at the Alto. Roundtrip air from Santiago to Atacama. Visit to the state-of-the-art ALMA Observatory*. Best views of the Geminids, the "king of meteor showers." Live taping of Paul's Ask a Spaceman! show. Breakfast chats and evening stargazing tours. Book-signing event and a copy of Paul's upcoming book. *Visits to the ALMA Observatory are on a first-come first-serve basis. We cannot put your name on the reservation list until you have made your deposit, so don't wait. The plan is simple: get to the desert and enjoy as much of the sky as we can. Five days of adventures and six nights under the stars. View included excursion options in this brochure PDF. or $6,260 (single occupancy) per person. Thank you, our travel agent will contact you soon to arrange details. We look forward to joining you in the Atacama! The deposit amount as indicated above is due upon reservation. Final payment is due 90 days before departure. Payment of deposit indicates constent to these Terms and Conditions. After deposit you have 7 days to withdraw consent and receive a full refund. Purchase of a Travel Protection Plan is highly recommended and must be purchased separately. Payment of a per-person waiver fee guarantees a full refund of all payments (including deposit) except for the waiver fee itself, in case of cancellation of travel plans for any reason prior to the day of departure. Six months prior to departure the non-refundable deposit will be retained, plus a $250 handling fee. For cancellation between 90-60 days prior to departure: cancellation fee of 50% of total price, plus a $250 handling fee. For cancellation between 60-1 days prior to departure: cancellation fee of 100% of total price. The Travel Protection Plan does not cover any single supplement charges which arise from an individual’s traveling companion electing to cancel for any reason prior to departure. Air rates are subject to change until tour is paid in full. If Travel Protection Plan has not been purchased and a reservation is cancelled for any reason prior to departure, Air is 100% non-refundable once paid in full. Air rates, schedules, taxes and fees are subject to change until passengers have paid in full. If air is cancelled within 120 days of deposit, penalties may apply. Name changes are subject to penalties within this time period. Some airlines may impose additional charges if you choose to check any baggage. Please contact your airline or refer to its website for detailed information regarding your airline’s checked baggage policies.